When choosing a cloud-based storage system for your files, some of your main concerns should be security, reliability, backup speed, and ease of use. Not all systems on the market perform at the same level, so it is important to find an option that you can count on. One particular option that has become well-recognized in the industry is CrashPlan. Before diving in and purchasing the service to back up your system, the ideal step to take is to read a review and to check out the service’s website. 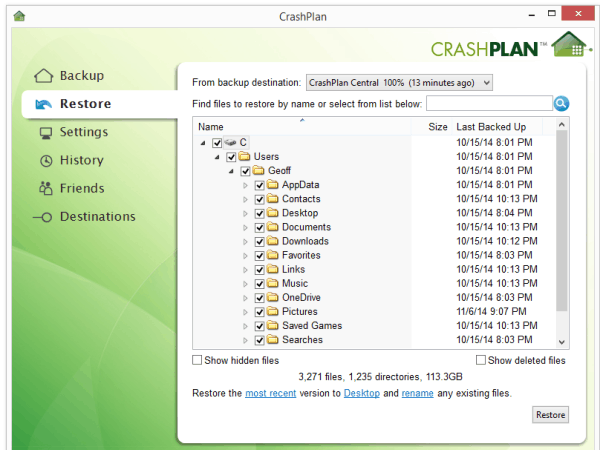 Fortunately, here is the first step – a thorough review of CrashPlan. Developed by American Software Company Code42, CrashPlan was designed to provide backup capabilities to all types of systems, including Windows, Mac, and Linux. One of the main focuses of CrashPlan, which sets it apart from its competitors, is its focus on security features. 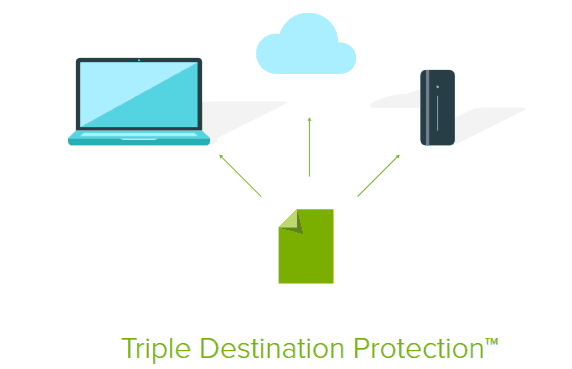 CrashPlan has what is known as “triple-destination protection.” This type of protection allows users to backup data at multiple locations, thus lowering the chance that some file will be lost. If security is one of your main concerns, then CrashPlan may be the ideal choice for you. Another consideration that you may want to take into account when choosing a service is its ability to provide you with the capabilities you are looking for based on your needs. Below is a quick digest of the types of users that CrashPlan is most suitable for. 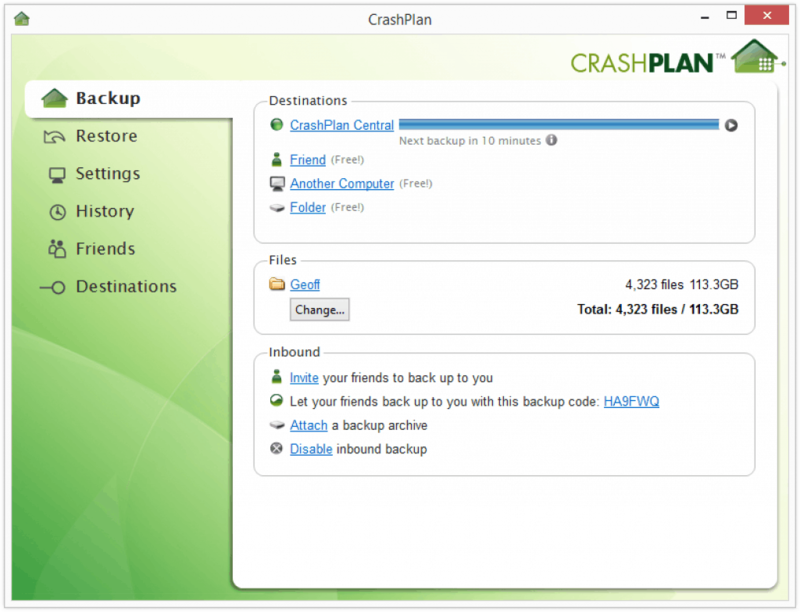 CrashPlan is a service that is mainly designed for individuals, not a business. One of CrashPlain’s main areas of focus is its security system. Therefore, if you are serious about the safety of your files, then this service is certainly one worth continuing to read about. Signing up for an account with CrashPlan and using the interface is simple. The three main capabilities that CrashPlan offers through its interface are changing the settings, restoring the system, and backup of your files. When using the system, you can also set a schedule for when you want your files backed up. The simplicity of the system is mainly attributed to the intuitive nature of the system. Everything on the system is clear, labeled, and easy to follow. If you do require customization of your CrashPlan system, then that can be done too. You can select which files you’d like to back up, on what days, and any files to not include during other sessions. Another great feature during the backup process is that you can also backup to different computers. You’ll need to enter a six character code after you’ve chosen the computer to back up to, but this is a minor delay. You can also choose on which days and times you’d like CrashPlan to back up to the other particular computer. This type of process makes things extremely easy for you because it allows you to be very selective in terms of the files you are backing up. Finally, another note to make when it comes to backing up is that CrashPlan automatically scans every file through processes such as pruning and check summoning. This function adds to one of many layers of security that CrashPlan provides its users. The file restoration process is just as easy as the one used to back up files. As you can tell, the interface is extremely clear regarding which files you’d like restored and when those exact files were restored last. You can restore the files to your desktop, a custom folder, and the original location. You can also rename and overwrite existing files. If you’d like to restore from the CrashPlan website, then you are limited to 500MB. Finally, if that isn’t possible for you, then you can also do what most other web hosting services do not offer – have your files shipped to you via courier service. CrashPlan will ship your files using a hard drive so you can get what you need conveniently and quickly when it is inaccessible on the online app. As advertised, one of CrashPlan’s main objectives is security. 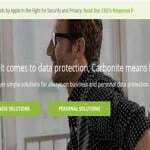 There are a number of levels to CrashPlan’s security. At the first level, CrashPlan requires that you input your password to access your files. The second level of security is the local encryption that takes place prior to your files being issued. The data encryption ranges from 128-bit to 448-bit, and the one that is attributed to your files depends on the plan that you choose. During the transfer stage, there is a 128-bit SSL encryption that prevents threats such as spyware. Through these three security measures, you can feel confident that your information is as safe as could be. In addition, you’ll also find that most other options don’t provide the three layer security features that CrashPlan does. Finally, there is the issue of accessing files on your mobile device. Some cloud services perform this function well, while others seem to greatly falter. Compared to many plan’s out there, CrashPlan provides its users with a quality mobile application so their backup and restoration needs can be met. 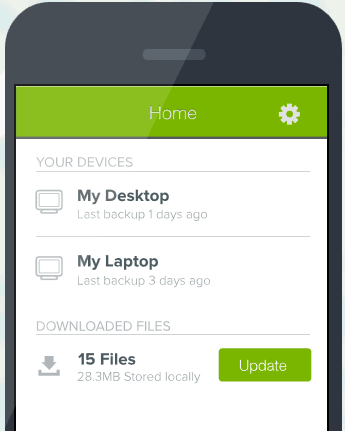 You can access your files and information right through your mobile device application. Once you access these files, you can send it through your email so you can access it on a PC or any other device. The mobile application operates on iOS and Android and it is designed in a manner that allows for simple and easy use. There are a number of options available if you choose CrashPlan. Price Free $5/mo. $12.50/mo $10/mo. Overall, CrashPlan is a very promising service that is worth your while to take advantage of – especially if you are looking for affordability, security, and simplicity. In addition, you’ll love the mobile device application, which is much easier to use than other cloud based storage systems. Finally, another point that wasn’t mentioned earlier is that CrashPlan also backs up your files fairly quickly, meaning that you can get the results you need, even if you are in a hurry. Very simple and easy to use and follow interface. Makes security as their priority to protect users. Allows users to select what file/s to be backed up on different computers. No file sharing.